Friday and Saturday were nonstop partying with my classmates from Engineering '62. Quite a few married Queen's girls so Mavis had a great time as well. We parked in the Holiday Inn parking lot beside Lake Ontario and went overnight to a very good campsite at nearby Rideau Acres. Friday night was a class party with a slide show. It started on a somber note showing photos of all the class members that are no longer with us. One wag came up with the perfect line when it was over "I'm glad I didn't see my name." 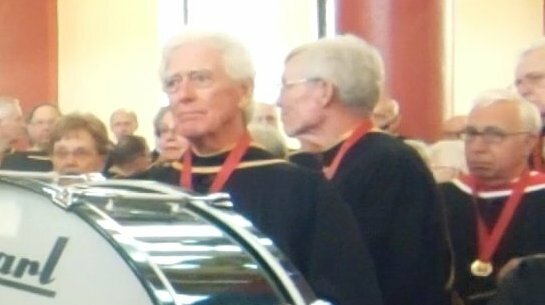 Saturday I was re-convocated by the University at a full scale ceremony with robes, a piper, Scottish dancers, and the Queen's brass band. I played in the same band 50 years ago. 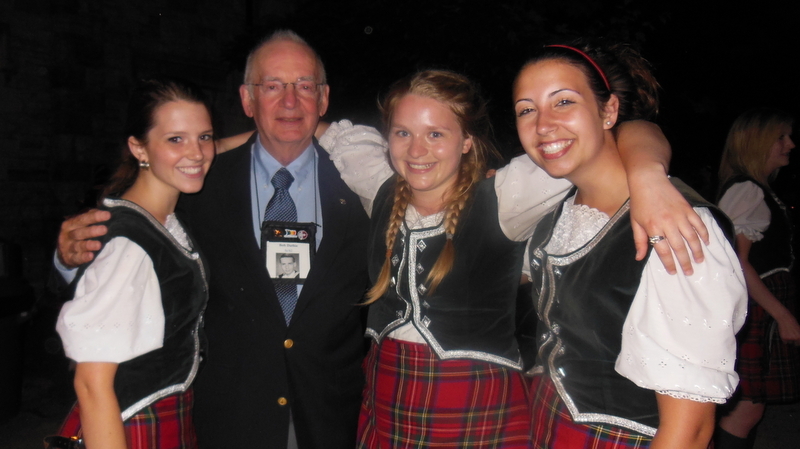 (See photo with the dancers). We all received gold medals. I think I will wear it to Rotary and write it into my resume. I can't think of any other uses but feel free to make suggestions. Saturday night was a huge banquet for the 50+ year graduates. We learned that Queen's will have the biggest fund raiser in history this fall. Surprise, surprise! Chancellor David Dodge is the former president of the Bank of Canada and spoke several times during the day on innovation and how it requires risk and acceptance of failure. Sunday we headed for Brockville our home for 13 years and visited old friends. 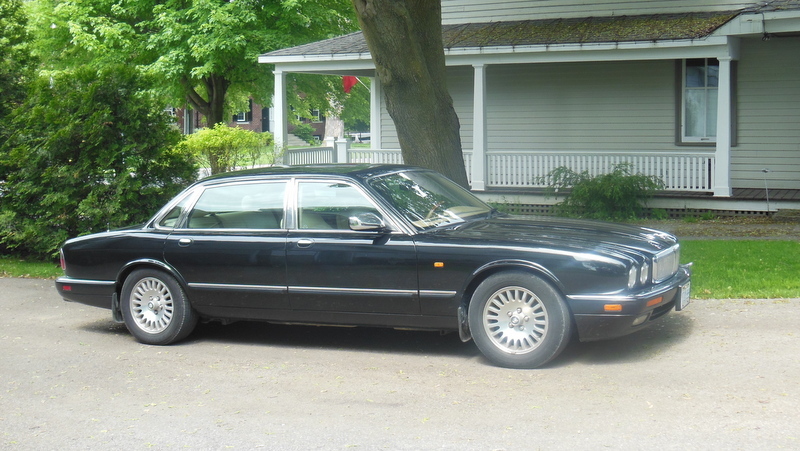 We rode in Herbs beautiful 1997 Jaguar Vanden Plas. We stayed at Lou and Marg's home on the St. Lawrence River and admired their newest boat, a 45 ft BlueWater. 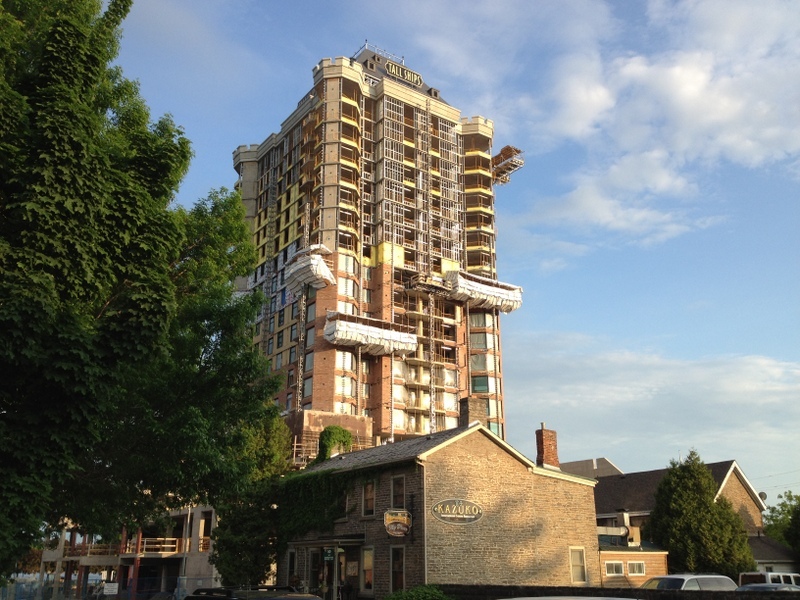 The Tall Ships Landing condo project on the waterfront is well underway. We received the sales pitch and toured the model home 4 years ago. It will make a spectacular addition to the waterfront. The Katy Leigh would look great beside this building. Today, Memorial Day, we headed south on I-81 and wound up at Hop Bottom. Near here we went under the largest concrete railway bridge in the USA. It has 10 arches and is 2375 ft long by 242 ft high. 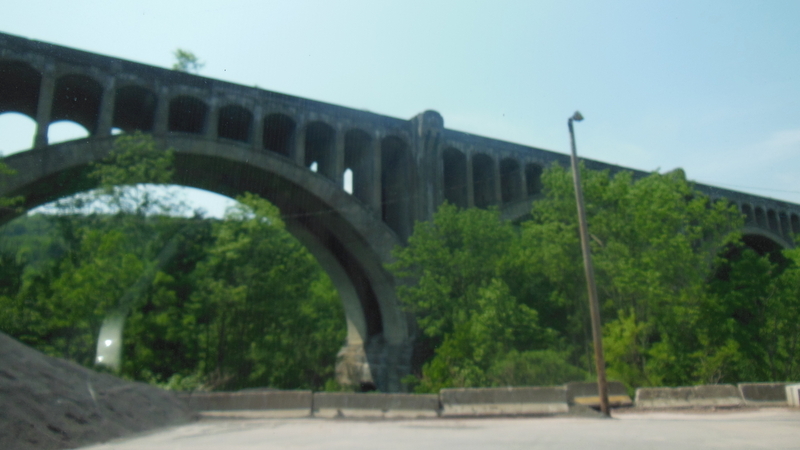 Built in 1915 it is named the Tunkhannock Creek Viaduct. The best photo was on a poster in the campsite's bingo hall which modestly declares the bridge as "One of the True Wonders of the World".